Have you ever had your car rear-ended while stopped at an intersection, or know someone who has? Is so, take heart in the fact you’re not alone. According to the National Transportation Safety Board (NTSB), of the over 6 million traffic accidents each year in the U.S., 40% involve rear-end collisions. Most are not serious, and the resulting damage to the rear-ended vehicle is usually superficial, like a broken tail light or cracked bumper. But unfortunately, even minor rear-end fender benders can cause more serious, underlying problems to your car that may not show up for a while- ones that could place your safety, and that of your passengers, in jeopardy. With that said, here are 4 common hidden complications caused by rear-end collisions. You could be driving briskly down the highway one day and the trunk lid flies open, obstructing your rearview mirror’s field-of-vision. This isn’t good when your car’s left unattended for several hours in a strange area where there might be potential thieves around. Rear-end collisions can compromise the trunk lid’s seal, allowing potentially-harmful moisture to enter the compartment. It’s no fun if you’re standing in the pouring rain and can’t get the trunk to open with your key fob or the trunk release inside the vehicle. Unrepaired trunk malfunctions can also reduce your car’s resale value, so after an accident promptly take it to a reliable body shop to have the problem diagnosed and fixed. This makes driving down winding roads trickier. Could interfere with your ability to swerve, if needed. This causes reduced ride comfort for you and your passengers. No driver likes to be without their tunes. Drivers behind your car won’t see your tail lights when you’re coming to a stop or traveling in front of them during poor visibility conditions. This could leave you stranded alongside the road. All these potential unseen electrical problems are good reasons to have the wiring checked out at a collision repair shop whenever your car gets rear-ended. Bent frames can cause cameras and sensors that make up your onboard driver warning and safety systems to be out of alignment, including your air bags. In the event of a subsequent, high-impact collision, a previously-weakened frame could give way and not protect you as it was designed to. Whenever your car has sustained any type of damage from a rear-end impact, get the frame inspected promptly at an auto body shop in your area. When your car has been involved in any type of rear-end collision, even when the damage seems superficial, don’t take chances with hidden problems that can jeopardize your safety later. Instead, bring it to a dependable auto body shop to have the damage inspected, inside and out. 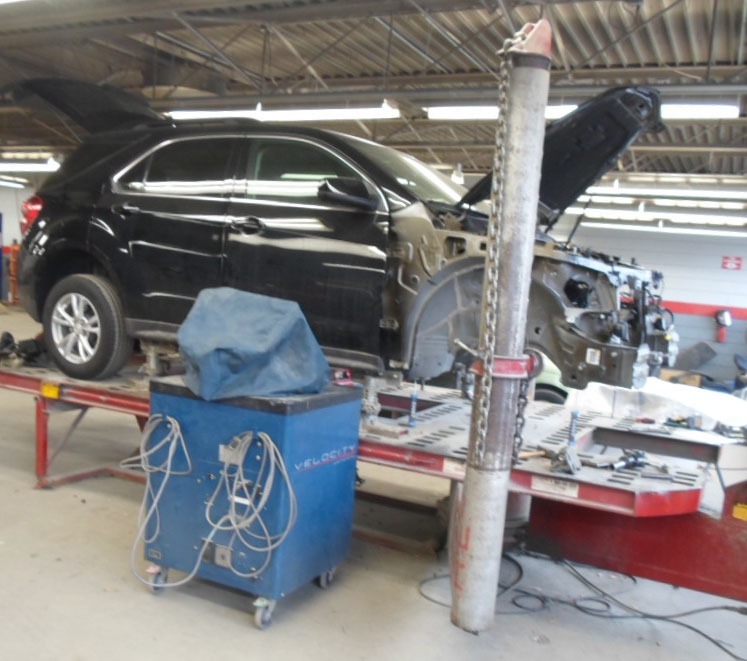 Body shop technicians have the training, experience and equipment to locate and repair underlying issues and get you back on the road promptly and safely again. Most collision repair shops work directly with insurance companies so you don’t have to, and warranty their work to ensure your peace-of-mind for countless miles after the repairs are done.